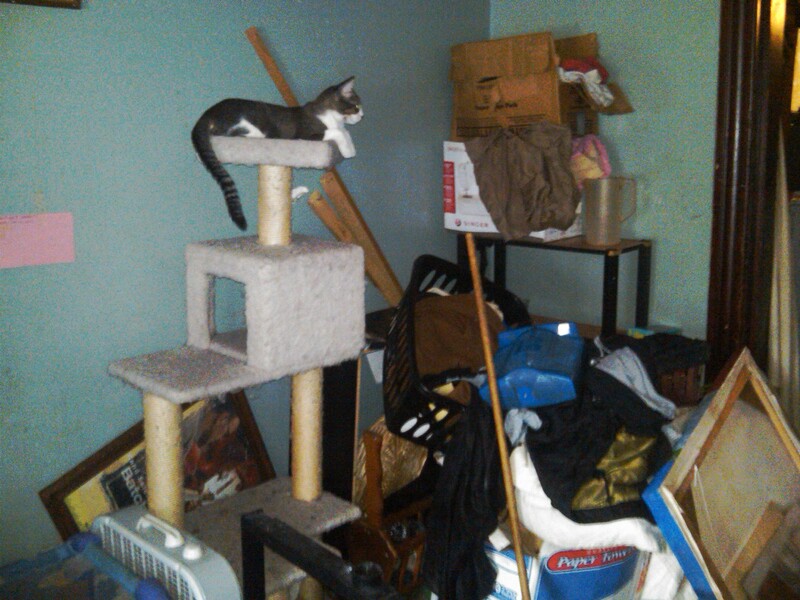 This week I was alerted to a hoarder home less than five blocks away from me. 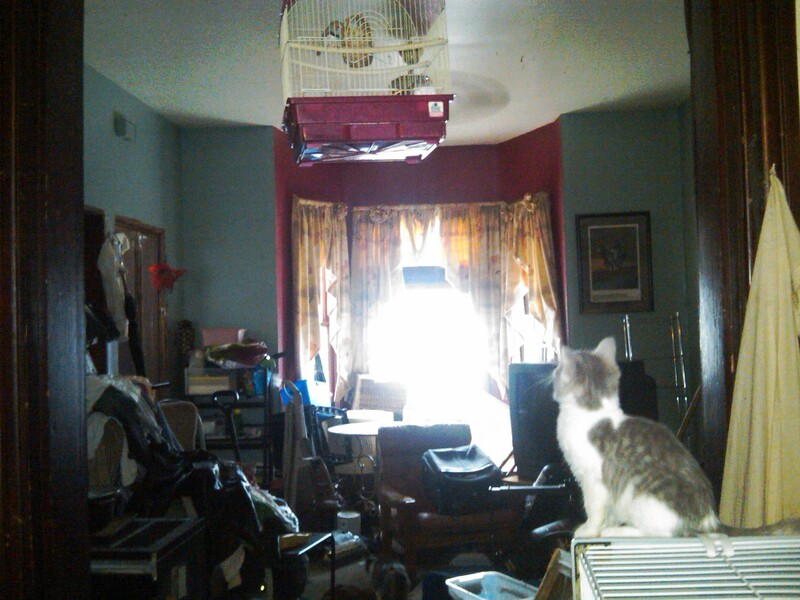 I counted up to 16 cats (the owners claim there are up to 19 cats), 2 birds and a chihuahua. The entire house looks like the photos below. Renegade is checking out the birds. Gidget is looking for food in the kitchen. This is not just a hoarder home – there seems to be other problems as well. For now the couple that lives here are cooperative with me and want most of the cats adopted out. 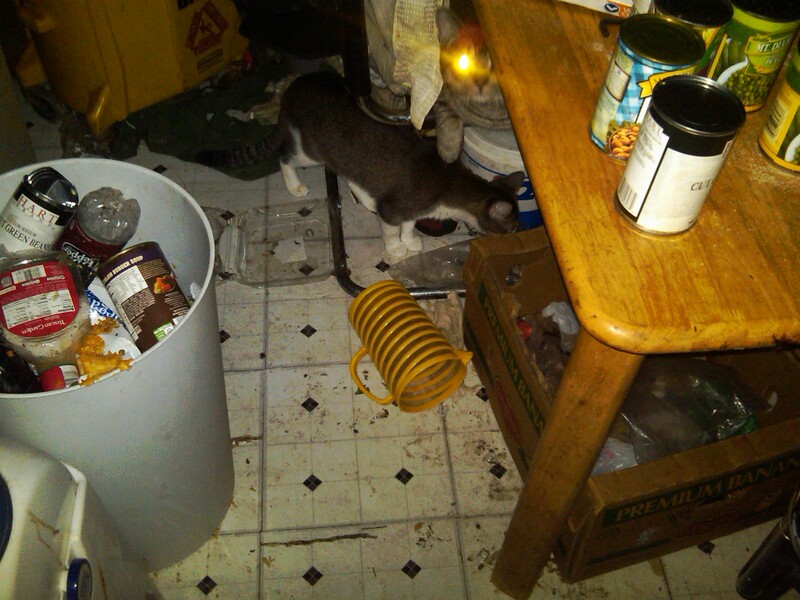 The best immediate help I can offer is to take the cats to a clinic for spay/neuter surgeries and vaccinations to stop the breeding, and return the cats back to them inside. I need help finding foster or forever homes for 16+ cats. 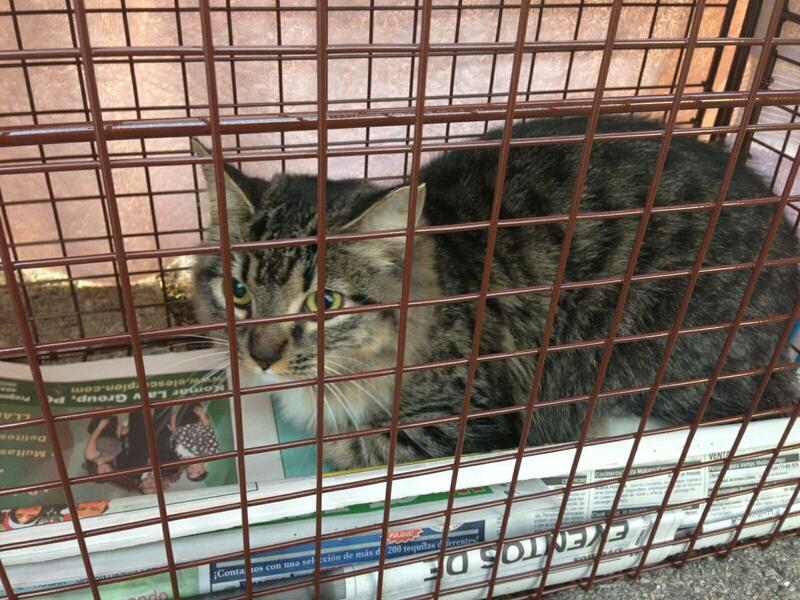 So far we have fixed eight of the cats and returned them to the house. The majority of these cats are completely socialized. They seek attention and are quite playful. 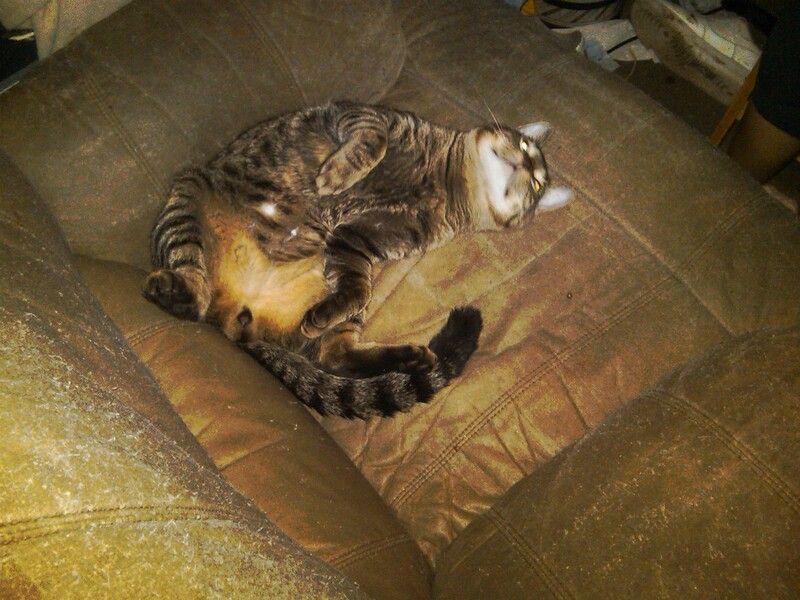 This tabby cat wants belly rubs! 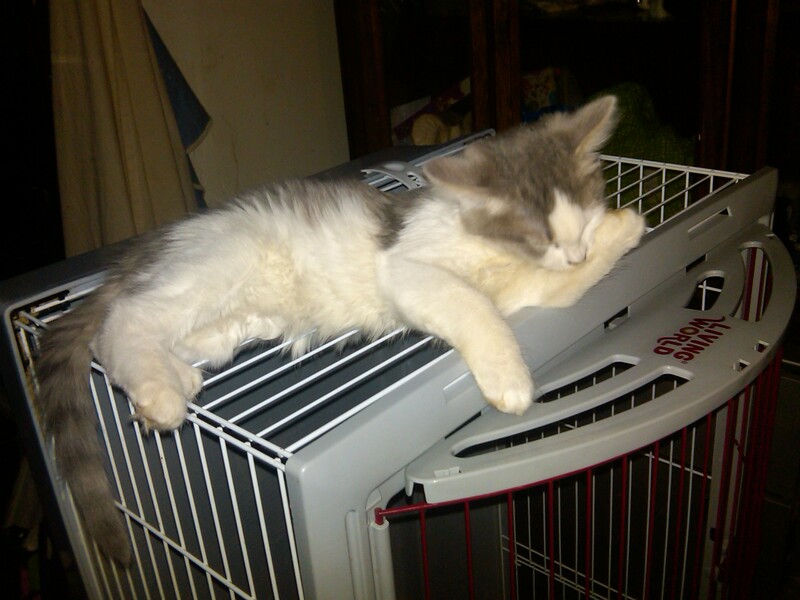 Renegade grooms himself on a cage. The cat tower is still in use. 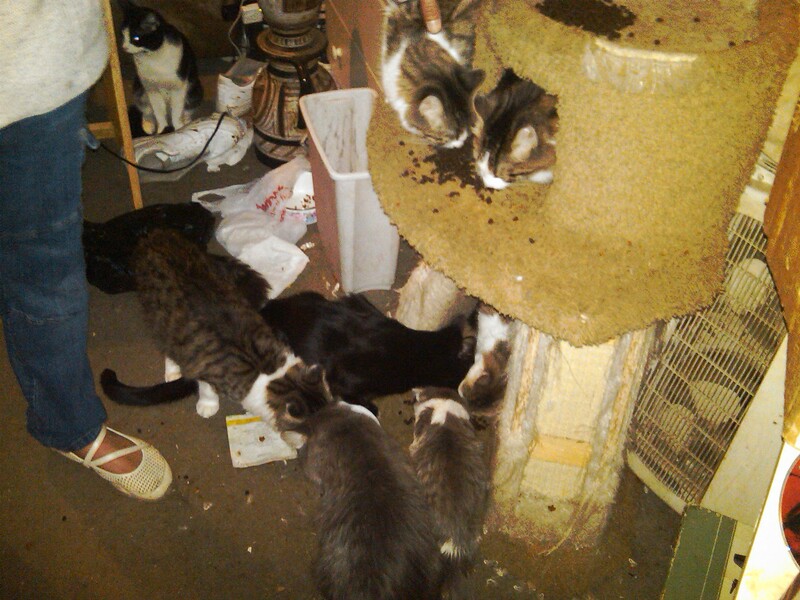 The cats are big, appear to be healthy, and get along with each other, even during feeding time. They are litter trained. 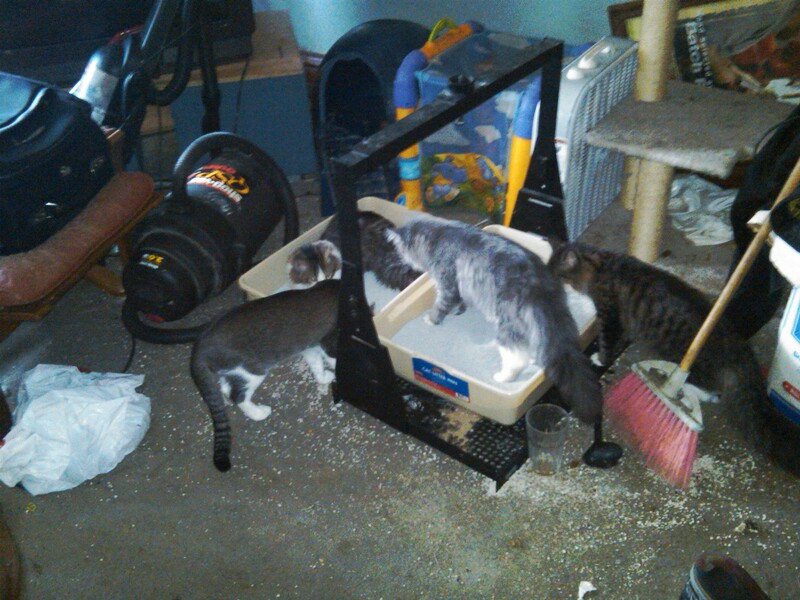 They still try to use the litter boxes that were originally there, even though they are dirty and filled with sand, not litter. 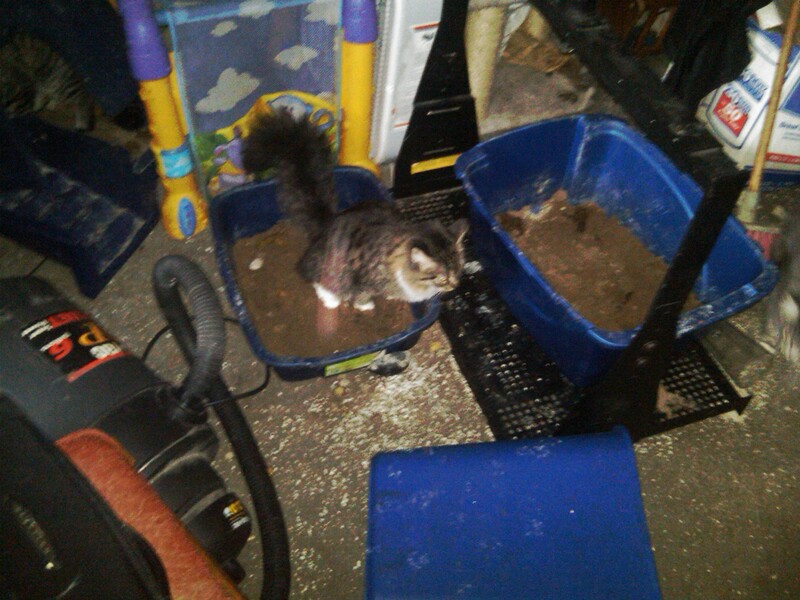 We brought new litter boxes and clay litter. The cats used them immediately. 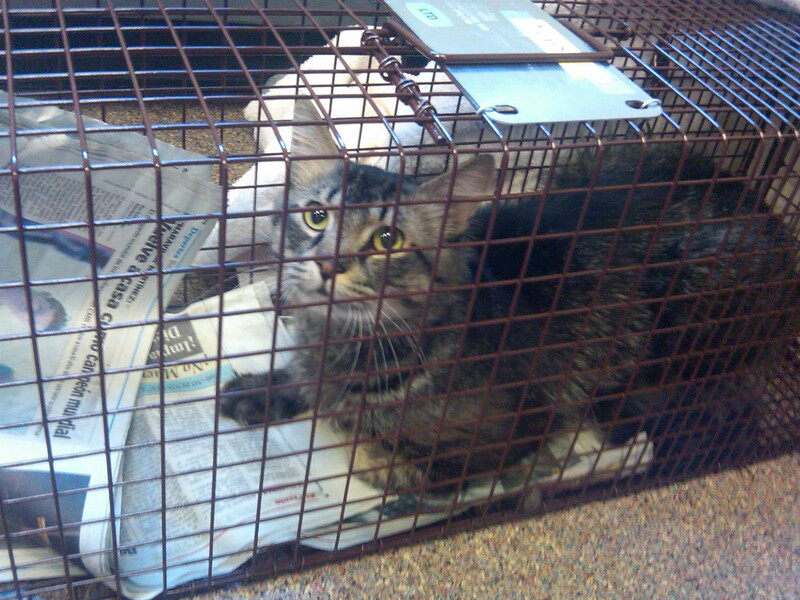 We used traps to bring the cats to the clinic. 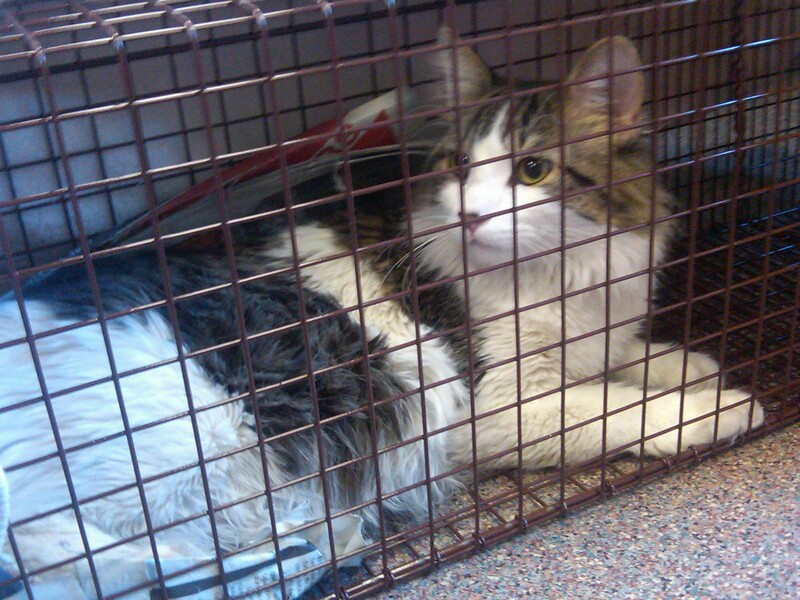 The cats were calm and curious once inside the traps. Here are just a few of the cats and they are all available for adoption. 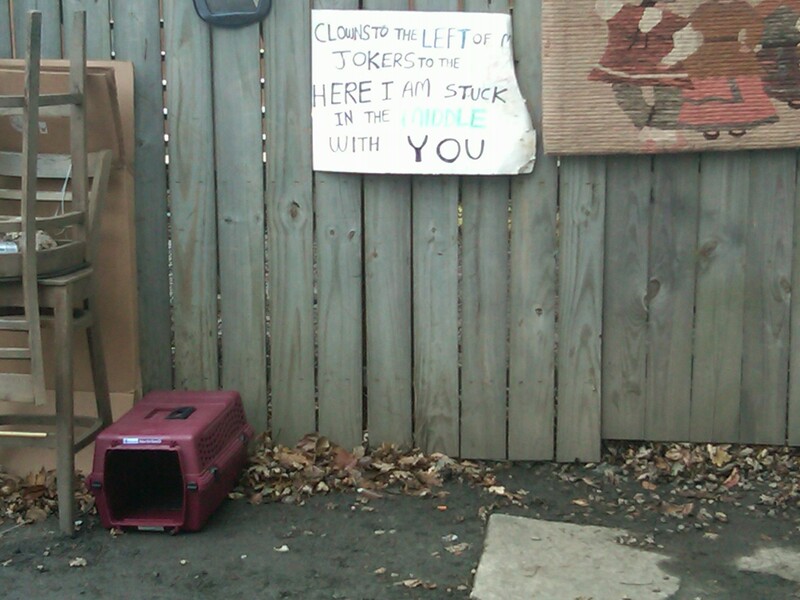 These cats are stuck in the middle through no fault of their own. If anyone has any leads for adopters or fosterers, or any ideas on how to help, I am all ears.